Evan Smith parks his car underneath the Bloomfield Bridge, on a slice of asphalt between a basketball court and a baseball field. His gray Honda CR-V seems more fitting for harried parents than a 26-year-old dude known as skateboarding’s psychedelic scarecrow. For Smith, a professional skateboarder, anything can become his next element: a handrail, a wall, a staircase or, indeed, an SUV. With the trunk open, Smith kicks his skateboard into the air, slides along the top of the bumper and sticks the landing. 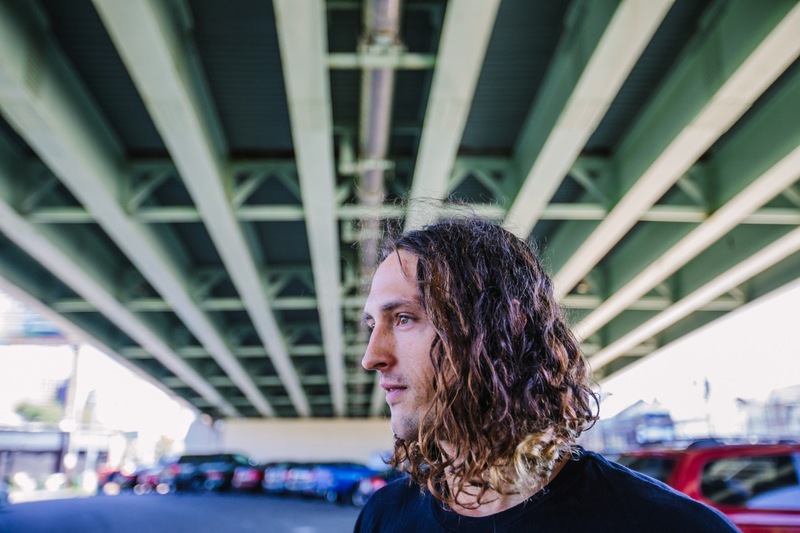 When he’s on the road, as he is most of the year, Smith is shooting skateboarding videos in Barcelona, touring Australia with his sponsors and, on occasion, getting arrested, most memorably in Hong Kong. When he’s home in Pittsburgh, Smith spends his days at Constellation Coffee in Lawrenceville, skates in Polish Hill and Downtown, plays golf at Pittsburgh National and watches open mics at Mr. Smalls, the Millvale music venue where he lives with his aunt and uncle. Ranking skateboarders is subjective and, in Smith’s view, against the spirit of skating, which he views as an art form. Still, it is inarguable that Smith, from his perch at Mr. Smalls, has carved out a spot atop the skating world. Thrasher Magazine, the industry’s leading publication, has described him as “one of the most gifted skaters ever,” and he was a finalist for Thrasher’s 2016 Skater of the Year. He has major sponsorships from Element and DC Shoes, his own line of sneakers and 104,000 followers on Instagram. Smith’s local profile may be relatively low-key compared with Pittsburgh’s other star athletes, but his skating videos, called “parts,” make waves in the industry. Speed, air, creativity, a willingness to try anything: These are the hallmarks of Smith’s style. In a recent release, he skated toward a large window, launched into the air, flipped his board, mashed it against the window, slid down a few yards and landed, cat-like, on his feet. When it comes to skateboarding, Pittsburgh doesn’t have the reputation of Los Angeles or Barcelona, cities known for their smooth surfaces and big skating scenes. But as a teenager on his way to stardom, Smith moved here from Florida, and he hasn’t looked back. In Pittsburgh, he’s rebuilt a skatepark, renovated a music venue, joined a family band and made his home. He could do the skating everywhere else. “That move was probably the most crucial move of my entire career and my development as a man,” he said. In Smith’s view, half of skateboarding is muscle memory. “The other half is unchartered territory,” he said. At 6-foot-2, Smith, who grew up near Orlando, is tall for a skateboarder, and one gets the sense he could eat whatever he wants and not gain a pound. His clothes fit loosely over his frame, and his shoulder-length hair, parted down the middle, becomes increasingly curly at the ends. Blue-green tints recently lingered in his locks, a relic of dyeing a section in rainbow colors after the Pulse nightclub shooting last year. Smith can sometimes fulfill the skaterboarder stereotypes: He peppers his phrases with words like “far-out” and “sick,” he appreciates a hard fall as much as a landed trick, and he smokes pot. While he relates to the lost boys and punks he says skateboarding attracts, he also has a disarming air of optimism. As a kid, Smith was bored in school and turned to petty crimes: stealing food, dealing and doing drugs, drinking. He thinks skating saved him. His uncle, Mike Speranzo, a former skateboarder who now runs Mr. Smalls with his wife, Liz Berlin, gave him his first skateboard. Growing up, Smith would visit Pittsburgh in the summer, staying with Speranzo and Berlin, a member of the band Rusted Root, and honing his skating skills. When Smith’s mother — Speranzo’s sister — was going through some personal issues, the couple talked about taking in Smith full-time. Smith, a teenager at the time, ran to his room and packed his bag. He was now a Pittsburgher. Evan Smith rides down the street by Mr. Smalls Theatre in Millvale, as seen from a hill in Reserve. Smith’s amateur skating career was on the rise when he moved to Pittsburgh, and he never attended school here. 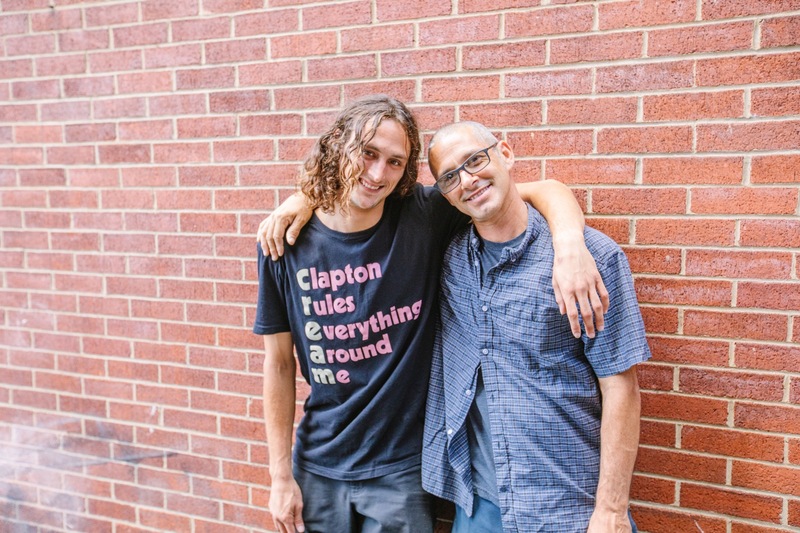 Instead, he helped rebuild the now-defunct Mr. Smalls Skatepark and worked on projects at the music venue; the family eventually converted a schoolhouse on site into apartments, where they now live. But he already was spending time on the road and skating at a high level. Like Smith, Speranzo grew up in Florida, dropped out of school and said skateboarding protected him from bad influences. And like Smith, Speranzo found success, albeit in the world of vert skateboarding — riding on half-pipes and ramps — rather than street skating. He lived with Mark Gonzales, by one ranking the most influential skateboarder of all time, in a California houseboat. He hung out with Tony Hawk, the most famous skater of all time, on tour; they were both too young to go to bars. Unlike Smith, however, Speranzo never technically went pro. 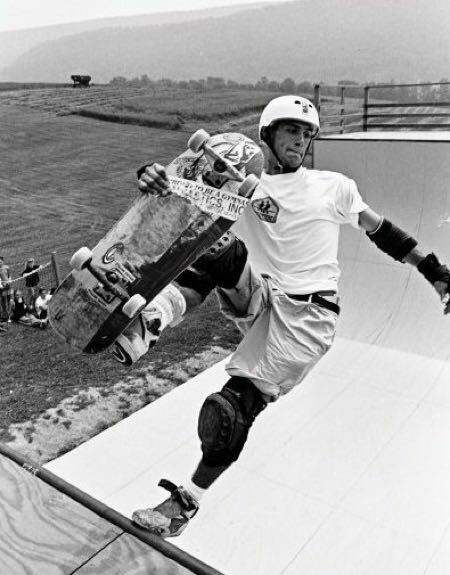 Instead, he started the skateboarding program at Camp Woodward, a summer camp in Centre County. “I was struggling with personal identity issues and I realized that being there for those kids and that camp was way more satisfying than continuing to pursue my career,” he said. Speranzo got his GED, enrolled in a continuing education program at Penn State and played in a band. That’s how he met Berlin, who grew up in Pittsburgh and whose celebrity was rising with Rusted Root. As the band’s popularity increased, she was getting hit on a lot, and she had her walls up. When Berlin became pregnant with their son, Jordan, now a music student at Carnegie Mellon, Speranzo stopped skating. Speranzo left the tour and worked on the couple’s company in Pittsburgh. Jordan, courtesy of Speranzo’s friends — who were known as Mr. Handler, Mr. Fuzzy Head and Mr. Freaky Big — got his own nickname: Mr. Smalls. The new family business had a name. Years later, Speranzo briefly returned to competition. 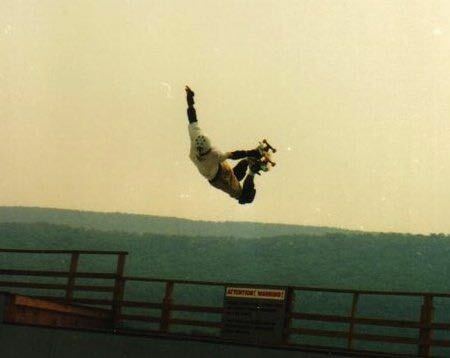 After a few months of training, he competed in a contest in Tampa, Fla., but took a bad spill on a ramp, dislocating his shoulder and breaking his collarbone. He popped the shoulder back into its socket and finished the contest. That was the first time Smith saw his uncle skate. The next week, Speranzo placed fifth in the world as an amateur. His collarbone was still broken. Shortly after Smith and Speranzo rebuilt the skatepark, they had to dismantle it; the borough of Millvale wanted the space back, and they were left with tens of thousands of dollars of pressure-treated wood on their hands. Rather than let the lumber go to waste, they used it to expand Mr. Smalls, turning the skatepark parts into a restaurant and bar area called the Funhouse. So skateboarding is in the bones of Mr. Smalls, and Mr. Smalls is in Smith’s bones, too. His sister, Shaunden, works at the venue, as do several members of Berlin’s family. Smith plays music with his aunt and uncle in a band called the Drowning Clowns, and the venue’s open mics are in his living room. Back at the Bloomfield parking lot, Smith soars off a set of concrete stairs and lands hard on his board, which breaks in half. 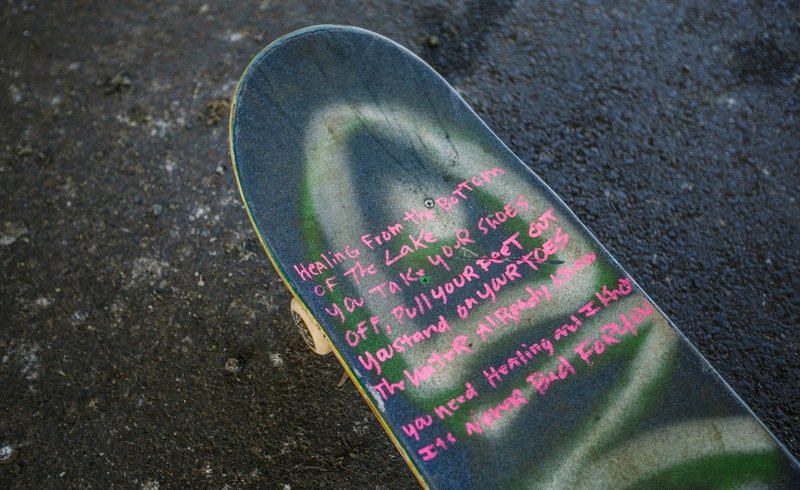 Skateboards have a short half-life: Smith wrote song lyrics on this one, he said, because he didn’t have any paper around. The art of skateboarding, too, is ephemeral. Even though Smith’s video parts are years in the making, he might nail a trick just the one time it appears on film. In that way, the steadiness he’s found in Mr. Smalls, and in Pittsburgh, is unlike his life on four wheels. 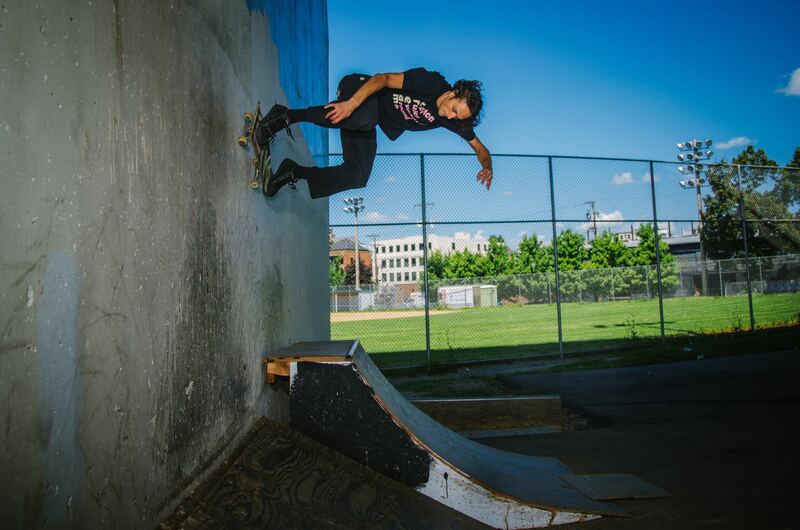 On his skateboard, Smith likes to fly high, but in Pittsburgh, he prefers to stay on the ground.